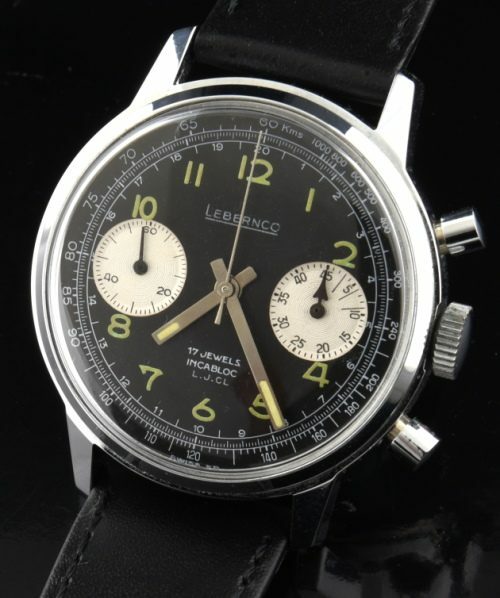 Here is an unused 1960’s Lebernco vintage chronograph in pristine overall condition-unworn. The 36mm. chrome top steel back case looks new. 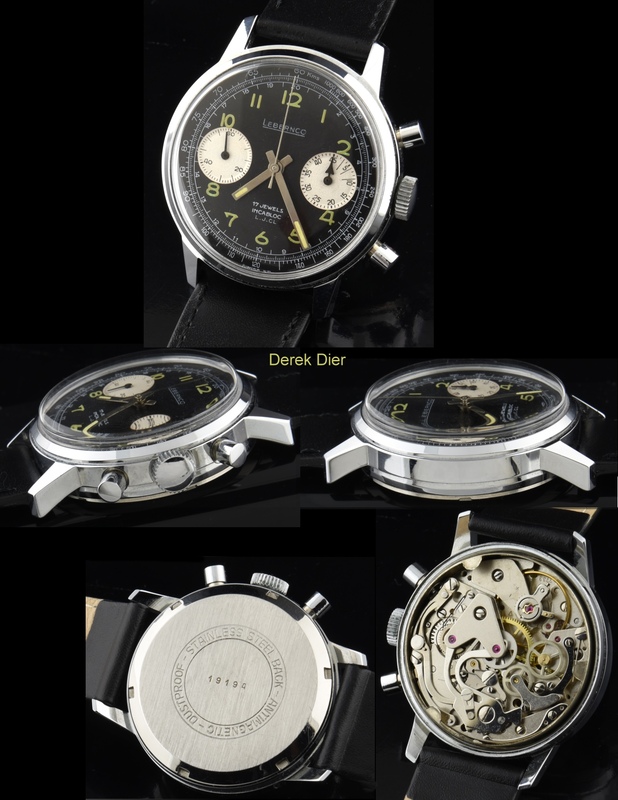 The manual winding Valjoux 7733 movement was just cleaned and the chronograph functions and timing are accurate. The amazing original “panda” dial with greenish toned Arabic numerals and baton hands looks great. Wait until you see this on your wrist!